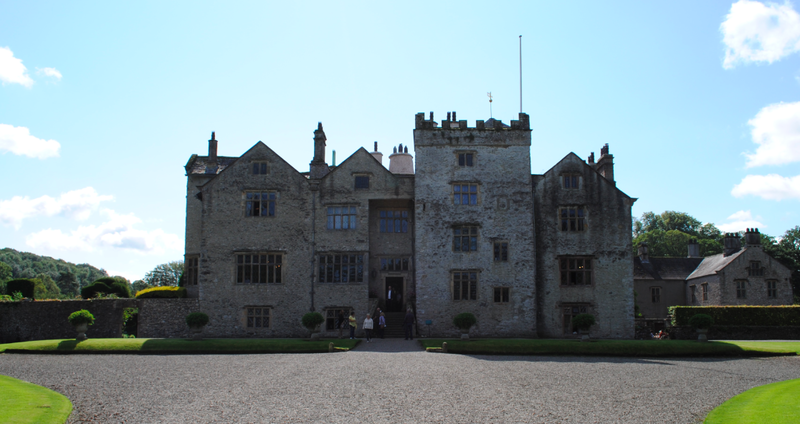 Located in the Kent Valley near Kendal is the estate of Levens Hall. 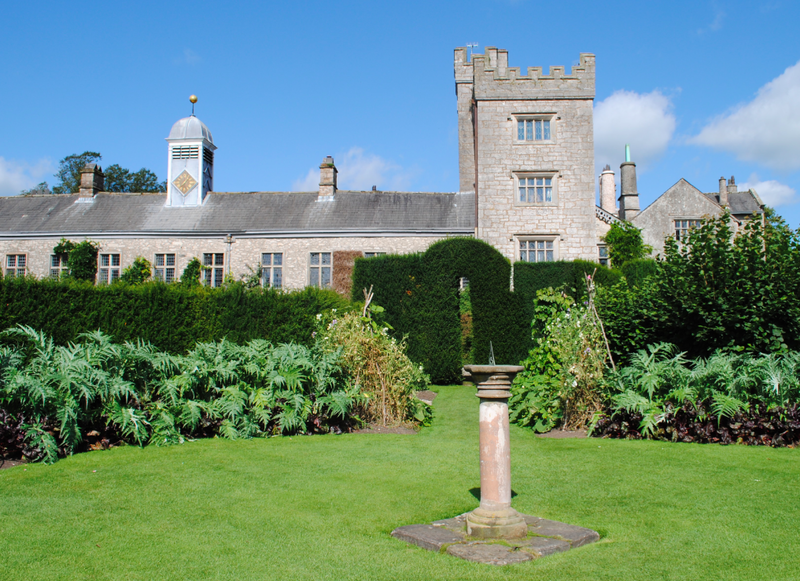 The largest Elizabethan house in Westmorland or Cumberland, Levens Hall is still privately owned and is at the heart of a thriving agricultural estate which provides resources both to maintain the house and to ensure the fabric of rural life remains intact. The earliest parts of the building are the medieval Pele Tower and the Hall which date to between 1250-1300 and were constructed by the de Redman family of Yealand Redmayne. A Charter from William de Lancaster, in circa 1170, gave Norman de Heiland (or Yealand) land at Levens but reserved the fishing, hawking and hunting of buck and doe, boar and sow for himself. Norman de Hieland later became known as de Redman and while there may have been a house at Levens at the time of the Charter to Norman de Redman, the medieval core which forms the centre of the present building is the remains of the Pele Tower and attached Hall range. 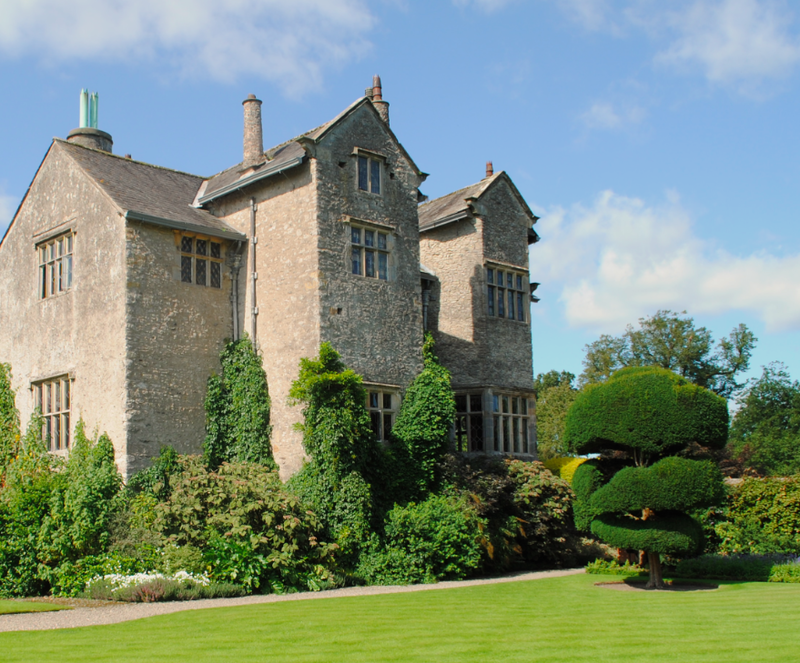 The de Redman family held Levens until 1578 with Sir Richard III, who died in 1544, the last to live at the estate. Possession passed to James Bellingham in circa 1580. Incorporating the fortified tower, Bellingham completely refurbished the old house and added all available comforts. These included a separate dining room and servants hall, drawing rooms and built-in kitchens. 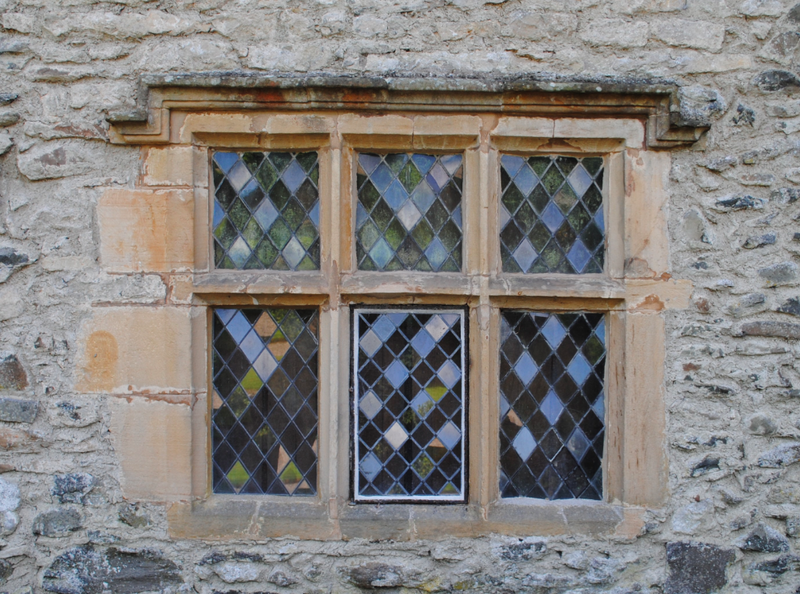 All rooms were panelled using local oak or hung with tapestry and brilliant plasterwork gave them colour. The Great Hall stands with its staircase tower and the base of the Pele all facing the river and the ford. Constructed of limestone rubble with sandstone dressings, the north front features an embattled tower with mullioned and transomed windows. James Bellingham’s great-grandson Alan was to lose the whole estate through gambling. In 1686 he put his affairs in the hands of trustees and in 1689, they sold his Westmorland lands to his kinsman Colonel James Grahme. Colonel Grahme was Keeper of the Privy Purse and Keeper of the Buckhounds to King James II. Grahme accompanied the King to Rochester on 18th December 1688 during the Glorious Revolution when the King was overthrown by a union of English Parliamentarians with William III of Orange-Nassau (William of Orange). Following the Revolution, Grahme lived at Levens with his wife and added two wings running south and west for kitchens, menservants bedrooms and a Brewhouse. After Grahme’s death in 1730, the Levens estate passed to Henry Bowes Howard. The south elevation service wing (above) dates to circa 1700 and features mullion and transom cross windows which are surmounted by a square domed clock-tower with gilded ball finial. The Howard Tower was built in 1820 to connect the Elizabethan part of the house with the later south wing. The gardens were designed for Colonel Grahme in 1694 by Guillaume Beaumont, a pupil of le Notre at Versailles. Beaumont had been gardener to King James II and worked at Hampton Court Palace gardens. 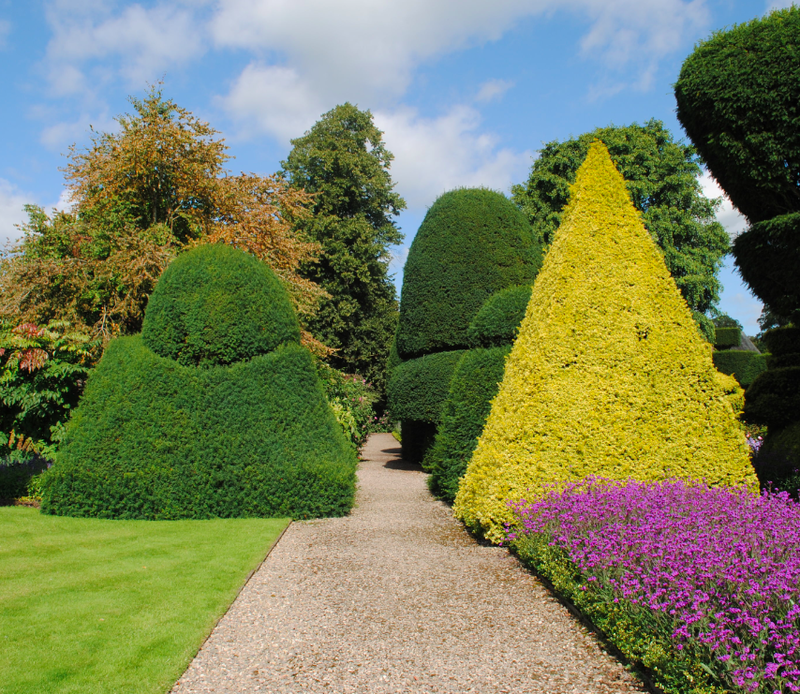 Of his garden and designs, only Levens survives today and the topiary garden is the oldest in the world. The original garden plan includes a rose garden, an orchard, a nuttery, a herb garden, vegetable borders, a beech hedge walk, herbaceous borders and a bowling green. 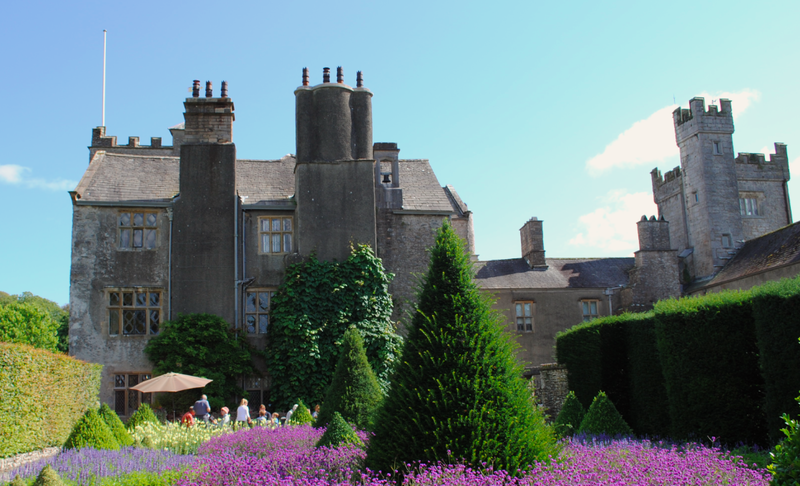 Levens Hall is Grade I Listed and the gardens are considered to be of national importance.